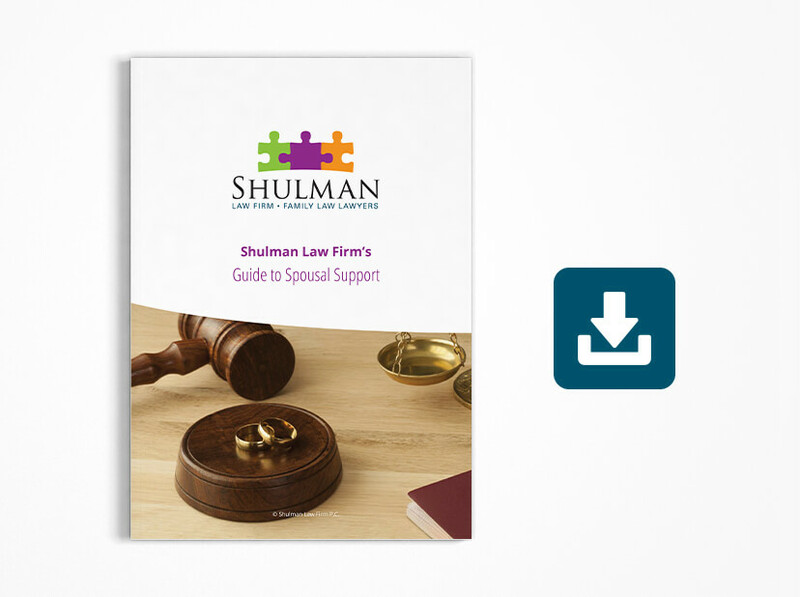 Spousal support issues are fundamentally complex. Entitlement to spousal support may arise from either a marriage or from a common law relationship. The settlement may be based on a spouses’ actual need for support or an economic disadvantage resulting from the relationship. The amount of support awarded can vary greatly and although the Spousal Support Advisory Guidelines attempt to bring some stability and predictability, they contain a multitude of exceptions and exclusions. Our family law lawyers have years of experience in successfully navigating our clients through these complicated issues with tenacity and confidence. Our lawyers will meet with you for an initial consultation, absolutely free of charge, to discuss your spousal support matter, set clear objectives, and discuss the steps needed to achieve these objectives. Our lawyers are ready to guide you through the process. The first step in dealing with your spousal support claim is speaking with one of our lawyers who will analyze your case. Call to book an appointment with our family law lawyers. Our office is open 9-5 Monday to Friday.